Nordic Smart Cities is the leading regional event for smart and sustainable city development, gathering 100+ speakers and 500+ attendees it is a great opportunity for city leaders and administrators to listen, learn and discuss the future development of our cities and municipalities. 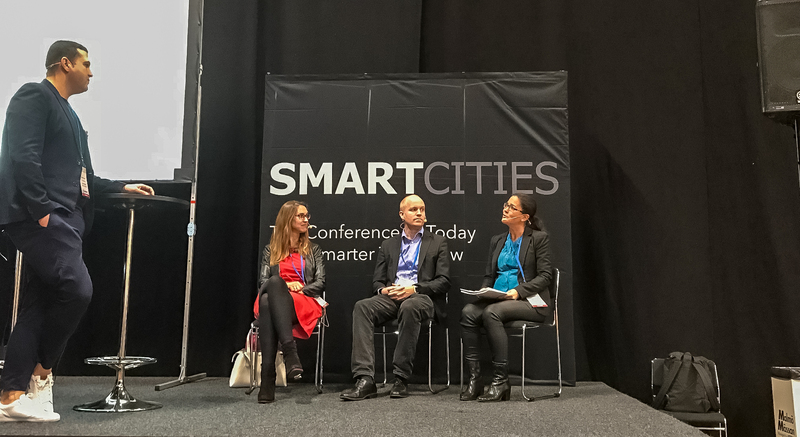 BAMB partner Camilla Sjögren, Ronneby muncipality had a speaking session and took part of the panel debate. “Is a Circular Building Industry Possible? Buildings As Material Banks – from Vision to Action!